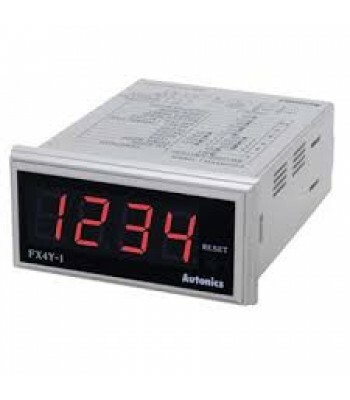 Counter&Timer, W72xH72mm, 6-Digit, LED,1 Preset, Relay & NPN Output,100-240 VAC..
Counter&Timer, 1/16 DIN, 4-Digit, LED, 1 Preset, Relay & NPN Output, 100-240 VAC..
Counter&Timer, W72xH72mm, 6-Digit, LED, 2 Preset, 2 Relay & 3 NPN Output,100-240 VAC..
Counter&Timer, W72xH36 mm, 6 Digit, LED,1 Preset, Relay & NPN Output,100-240 VAC..
Counter&Timer, 1/16 DIN, 6 Digit, LED, 1 Preset, Relay & NPN Output, 24-48 VDC/ 24VAC..
Counter&Timer, 1/16 DIN, 6-Digit, LED, 2 Preset, 2 Relay & 1 NPN Output,100-240 VAC.. 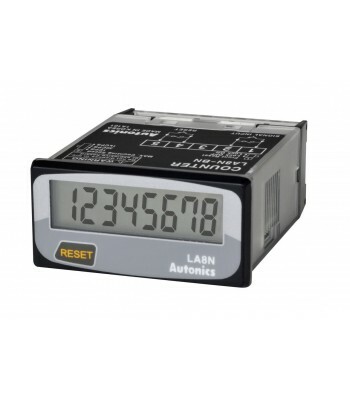 Counter, Totalizer, LCD, 1/32 DIN, 8-Digit, 1KCPS, Selectable front reset key, No Voltage Input..
Counter&Timer, 1/16 DIN, 4-Digit, LED, 1 Preset, Relay & NPN Output, 24-48 VDC/ 24VAC..
Counter&Timer, 1/16 DIN, 4 Digit, LED, 2 Preset, 2 Relay & 1 NPN Output,100-240 VAC..
Counter&Timer, 1/16 DIN, 6 Digit LED display, 2 Presets,2 Relay &1 NPN outputs, 24-48 VDC/ 24VAC.. 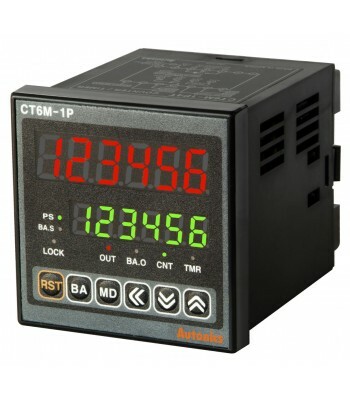 Counter, Totalizer, LCD, 1/32 DIN, 8-Digit, 20 CPS, Selectable front reset key, Voltage Input..
Counter&Timer, 1/16 DIN, 6 Digit, LED, 1 Preset, Relay & NPN Output, RS485 Communication output, 100.. 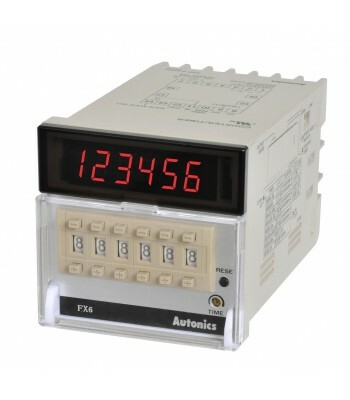 Counter, Backlight LCD, 1/32 DIN, 8-Digit, 1KCPS, Selectable front reset key, 24 VDC Backlight Power.. Counter & Timer. 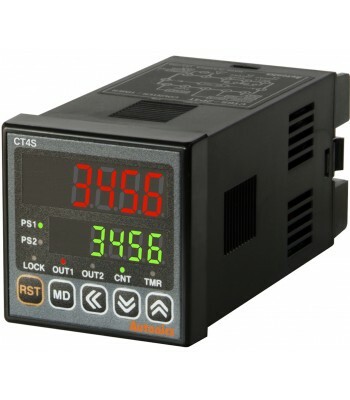 W72xH36mm, 4-Digit, LED, Indicator Only, 12-24 VDC..
Counter&Timer, W72xH72mm, 6-Digit, LED, 2 Preset, 2 Relay & 3 NPN Output, RS485 Communication output..
Counter&Timer, W72xH72mm, 6-Digit, LED,1 Preset, Relay & NPN Output, RS485 Communication output, 100..
Counter&Timer, W72xH36 mm, 6 Digit, LED, Indicator Only, 100-240 VAC..
Counter&Timer, W72xH72mm, 6-Digit, LED, 2 Preset, 2 Relay & 3 NPN Output, 24-48 VDC/ 24VAC..
Counter&Timer, W72xH72mm, 6-Digit, LED,1 Preset, Relay & NPN Output, 24-48 VDC/ 24VAC..
Counter&Timer, W72x H36 mm, 6-Digit, LED, 2 Preset, 2 Relay & 1 NPN Output,100-240 VAC..
Counter&Timer, W72x H36 mm, 6-Digit, LED, 2 Preset, 2 Relay & 1 NPN Output, 24-48 VDC/ 24VAC.. Counter & Timer. W72xH36mm, 4-Digit, LED, Indicator Only, 100-240 VAC..
Counter&Timer, 1/16 DIN, 4 Digit LED display, 2 Presets, Relay & NPN outputs, 24-48 VDC/ 24VAC..
Counter&Timer, W72xH36 mm, 6 Digit, LED,1 Preset, Relay & NPN Output, 24-48 VDC/ 24VAC..
Counter&Timer, 1/16 DIN, 6 Digit, LED, 1 Preset, Relay & NPN Output, RS485 Communication output, 24..
Counter&Timer, 1/16 DIN, 4 Digit, LED, 2 Preset, 2 Relay & 1 NPN Output, RS485 Communication output,..
Counter&Timer, 1/16 DIN, 6 Digit, LED, 2 Preset, 2 Relay & 1 NPN Output, RS485 Communication output,.. 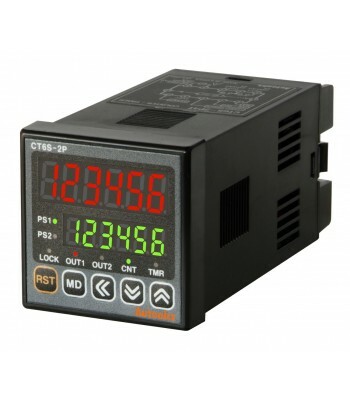 Counter & Timer, W72xH72mm, 6-Digit, LED, Indicator Only, 12 - 24 VDC..
Counter&Timer, W72xH72mm, 6 Digit, LED, Indicator Only, 100-240 VAC..
Counter&Timer, 1/16 DIN, 6 Digit LED display, 2 Presets,2 Relay &1 NPN outputs, RS485 Communication ..
Counter&Timer, 1/16 DIN, 4 Digit, LED, 1 Preset, Relay & NPN Output, RS485 Communication output, 100..
Counter&Timer, 1/16 DIN, 6 Digit, LED, Indicator Only, 100-240 VAC..
Counter&Timer, W72x H36 mm, 6-Digit, LED, 2 Preset, 2 Relay & 1 NPN Output, RS485 Communication out..
Counter&Timer, W72xH72mm, 6-Digit, LED,1 Preset, Relay & NPN Output, RS485 Communication output, 24-..
Counter&Timer, W72xH36 mm, 6 Digit, LED,1 Preset, Relay & NPN Output, RS485 Communication output, 1..
Counter&Timer, W72xH36 mm, 6 Digit, LED, Indicator Only, 24-48 VDC/ 24VAC ..
Counter&Timer, 1/16 DIN, 4 Digit LED display, 2 Presets, Relay & NPN outputs, RS485 Communication ou..
Counter&Timer, 1/16 DIN, 4-Digit, LED, 1 Preset, Relay & NPN Output, RS485 Communication output, 2..
Counter&Timer, W72xH36 mm, 6 Digit, LED,1 Preset, Relay & NPN Output, RS485 Communication output, ..
Counter&Timer, 1/16 DIN, 6 Digit, LED, Indicator Only, 24-48 VDC/ 24VAC.. 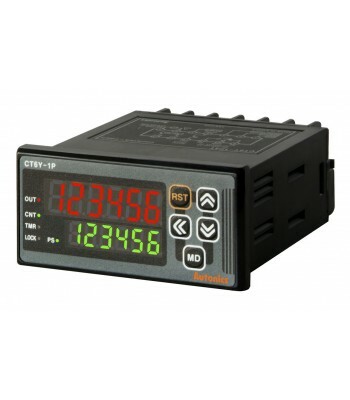 Counter, Totalizer, LCD, 1/32 DIN, 8-Digit, 1KCPS, Selectable front reset key, Voltage Input..
Counter&Timer, W72xH72mm, 6 Digit, LED, Indicator Only, 24-48 VDC/ 24VAC..
Counter&Timer, W72x H36 mm, 6-Digit, LED, 2 Preset, 2 Relay & 1 NPN Output, RS485 Communication outp.. 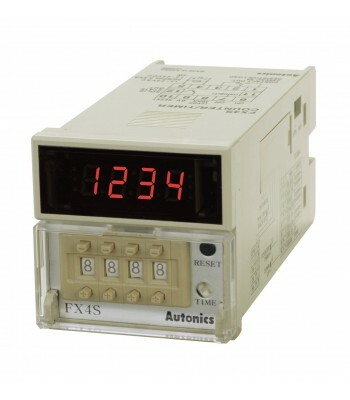 Counter & Timer, 1/16 DIN, 4-Digit, LED, 1 Preset, Relay & NPN Output, 100-240 VAC..